1. In a medium saucepan, cover split peas with 2 cups (500 mL) water. Cover and bring to a boil; reduce heat and simmer for 15 to 20 minutes or until peas are just tender. Drain. 2. Meanwhile, in a large skillet or wok, heat oil over medium heat. Add cumin, ginger, turmeric, cinnamon and licorice; toast for 1 minute or until seeds turn brown. 3. Add cauliflower and cook, covered, over medium-low heat for 10 minutes, stirring occasionally. Add scapes; replace cover and cook for 5 to 10 minutes or until vegetables are just tender. Stir in cooked peas and warm through. 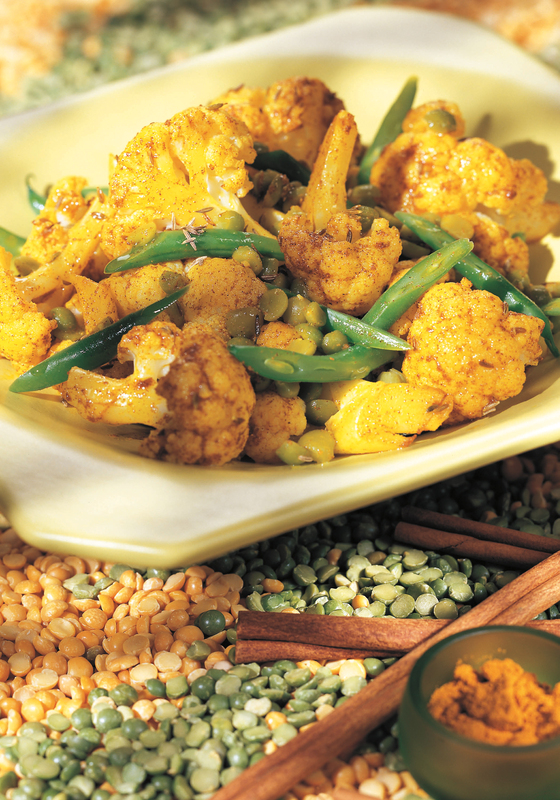 Any fresh summer vegetables will work well in this low-fat recipe. Scapes are the green shoots of garlic that grow above ground. Excerpted from The Healing Herbs Cookbook by Pat Crocker © 2013 Robert Rose Inc. www.robertrose.ca Reprinted with publisher permission. Yes, There’s Roundup in your Breast milk! Worst Toy of the Year!